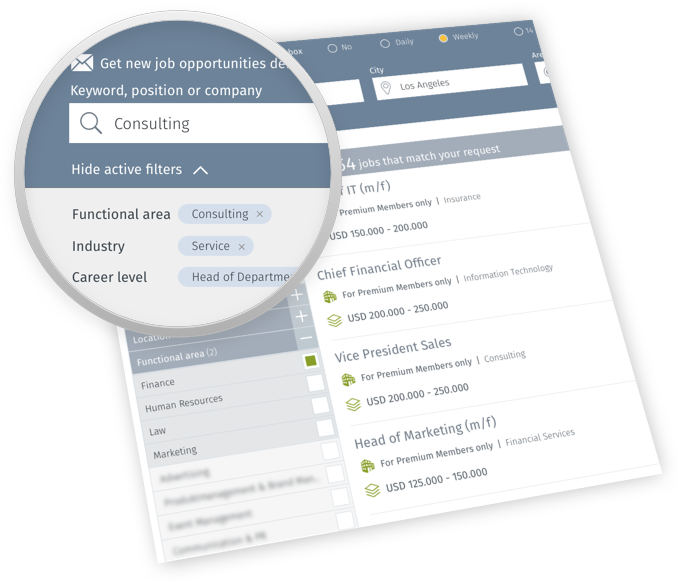 We analyze positions from more than 231,465 companies and headhunters and give you daily updates on compatible top positions. Take advantage of our network of more than 30,518 headhunters and recruiters. We’ll discreetly introduce you to the right contacts – based on your career aspirations. Our service exclusively focuses on the job market for senior-level career opportunities. If you’re an experienced specialist, manager, executive or director who wants to take the next step on your career path, we’re the right choice for you. Your career aspirations will be entered into our database and our job analysis software will match them with classified positions daily. At the same time, you can apply for the best positions, both within your own country and around the world. 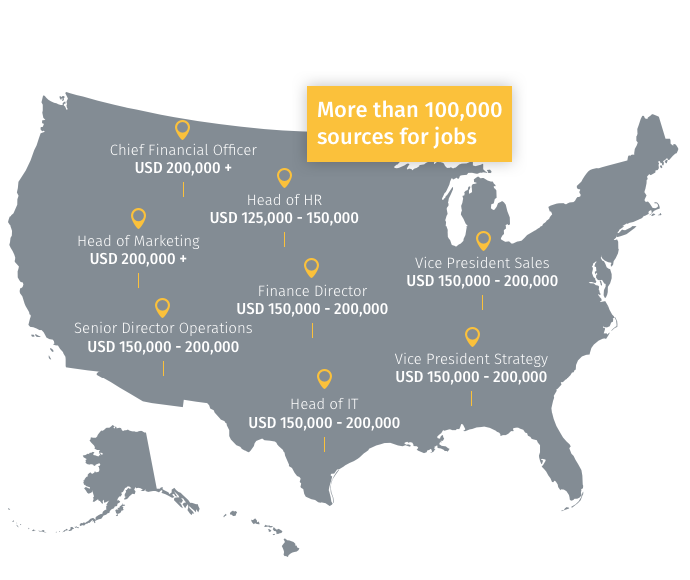 We research job opportunities from more than 100,000 sources daily using our own job analysis software. We then classify each position in terms of salary, scope of responsibilities, industry and career level. We only show you the best positions, offering you exclusive access to the hidden headhunter job market. This service provides you with an overview of the relevant job market and minimizes the risk of missing an important career opportunity. 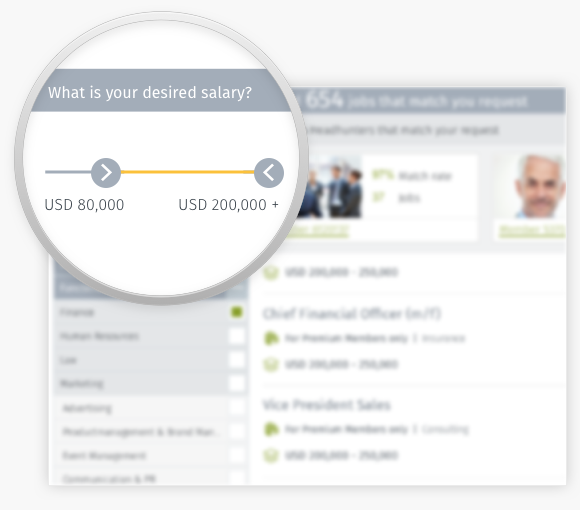 We analyze and calculate the JobLeads salary benchmark for each position by using extensive market data. You’ll receive an estimate of the potential earnings in your field. This helps you correctly appraise your market value and gives you an information advantage in salary negotiations. You have exclusive access to all the criteria our job analysis software has generated when searching for job opportunities. Set your own personal search filters (e.g. desired salary) and conveniently receive daily email updates from our software that has identified compatible career opportunities after searching through more than 100,000 sources. We’ve been developing our unparalleled competence in the headhunting field over more than a decade. 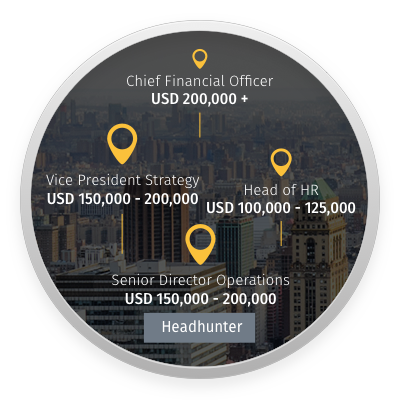 To build on this, our experts have created detailed profiles and analyses on the activities of thousands of headhunters. 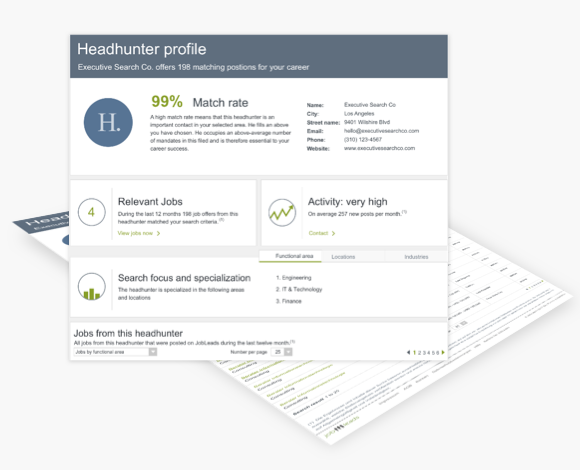 These are updated every day, meaning that we know exactly which headhunter is right for certain professions and career levels. You too can benefit from this knowledge. We’ll introduce you to the most important headhunters for your career planning – based on your career aspirations. We research jobs from thousands of headhunters daily using our own job analysis software. We then classify each position for you in terms of salary, scope of responsibilities, industry and career level. 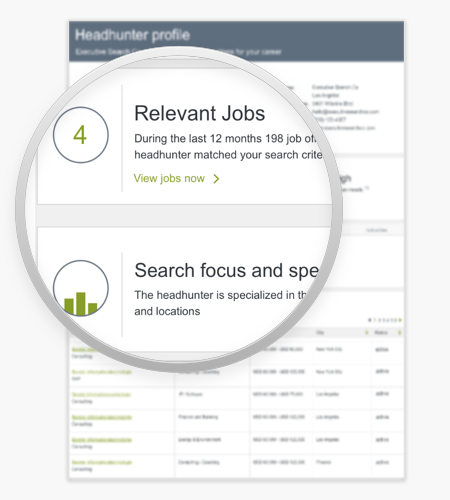 This service provides you with a solid overview of the headhunters’ exclusive job market and minimizes the risk of missing an important career opportunity. Information is the key to success. This is particularly important when planning your next career move. 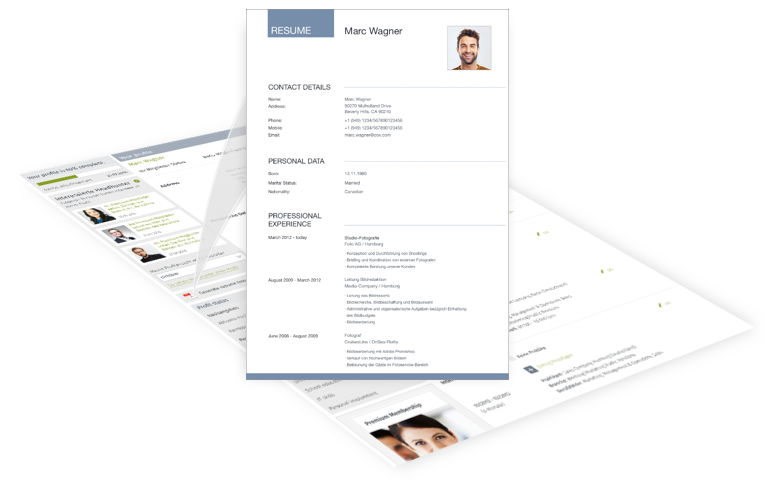 Our profiles and analyses offer you detailed competency profiles of thousands of headhunters. You can either receive suggestions for suitable headhunters or find the right contacts on your own by using the detailed search function. This means that you always know which contacts look promising for your career and which would be a waste of time to contact. The JobLeads profile is set up to present your qualifications profile in the best possible light. It clearly highlights your competencies so recruiters can easily see them. And the best part: You’ll always have an up-to-date resume at the ready and at the push of a button. 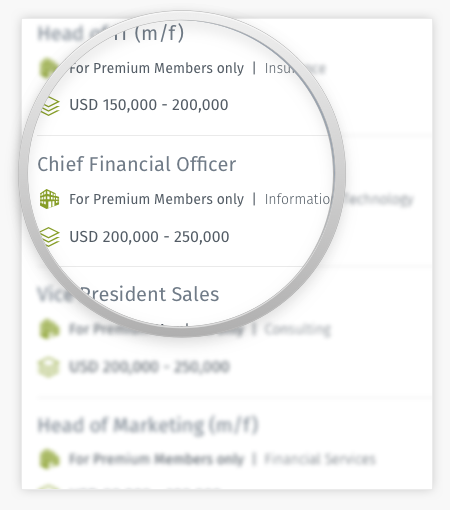 Finally a platform for executives and managers that offers you a transparent overview of the entire job market without any hassle. Great! JobLeads searches thousands of company websites for jobs that match my profile. Thank you JobLeads! After the optimization of my application documents and the job interview coaching, I landed a new job in no time. I actually just wanted to take a look. But after immediately receiving offers with a significantly higher salary from two headhunters, I had a new job three months later.